I was not sure where to put these items so I built a special place just for them here. 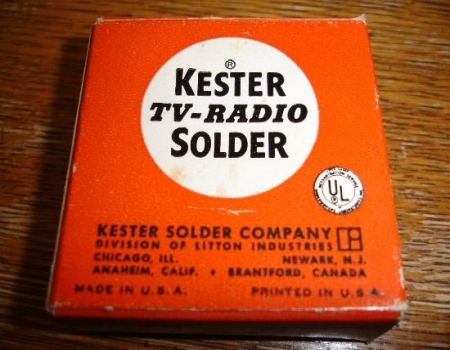 Kester TV-Radio Resin-Five Flux core Solder manufactured by a Division of Litton Industries. This item has an American Dept. store price tag of .35 cents on it. I did a little research and found that the American Department store is now out of business. A clue to this items age can also be found in the photograph on the right. Notice the UL marking on the right edge of the box. 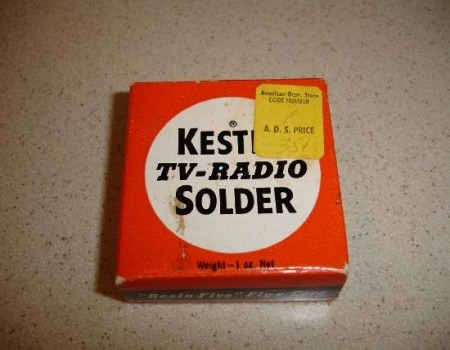 There is a statement on the side of the box that claims that this solder is "Faster Acting". I know what you may be thinking after viewing these next two photographs. 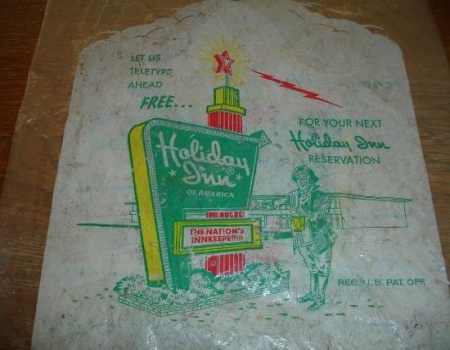 "What in the world is a complimentary plastic bag from Holiday Inn doing in the radio section of this website?" That is an excellent question. Study the bag for a moment and see if you can figure it out. Did you catch it? You probably did but for those that may have missed it, please notice the writing in the photograph on the right. 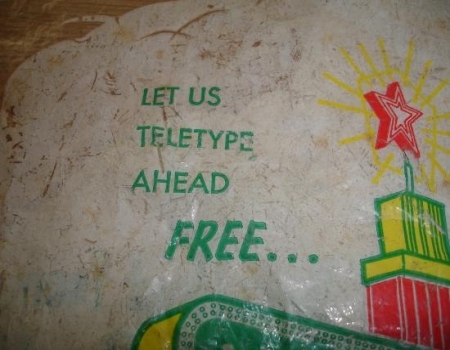 Radio TeleTYpe any one? The photograph on the left is a picture of the Super Sensitive Antenna that was found inside of an Eveready A-C Model 3 broadcast band receiver. On the front it gives installation instructions for an Auto, Boat, Home and Aeroplane. 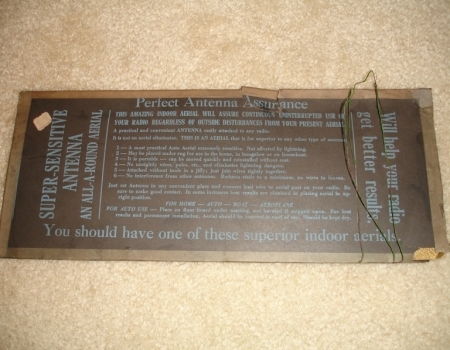 This antenna is actually called the "SUPER-SENSITIVE ANTENNA An All-A-Round Aerial".. The antenna container is very fragile and dry so any handling of it has been done with extreme caution. While I am not certain as to what is inside this paper/cardboard antenna container, I do imagine that it is nothing more then a coil of wire. The photograph on the right shows a couple of old C cells. 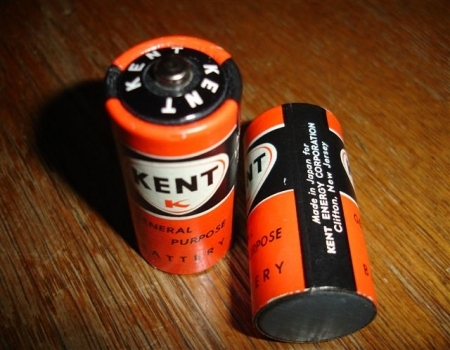 These "batteries" were made in Japan for the Kent energy corporation. Notice the bottom of the battery on the right. A neat little battery hint is that if in a pinch all you have is "C" batteries and you are in need of a "D" battery, then simply reach into your pocket and pull out a couple of quarters. Put the quarters and the C battery together to make the needed connection until you can get the D batteries.